You are here: Home / Current Events / Kendall Sommers / Magazine Articles / regular post / What Were You Wearing? Sexual assault victims are often pushed aside, questioned, and degraded. One of the most common questions asked of survivors is “Well, what were you wearing?”. This disrespects and devalues the experience of the person. Also, it is inferiorizing, especially after a devastating assault. These judgements against survivors are now ingrained in American culture. Colleges across the country are now taking a stand against these statements through art exhibits. After the first exhibit was launched at the University of Arkansas, other schools took after this idea. University of Florida is one of those schools. Lazaro Tejera, a student at University of Florida, saw this movement and was determined to bring it to his community. He sent out an anonymous survey asking for sexual assault survivors to submit photos of the clothing they were wearing during the assault. 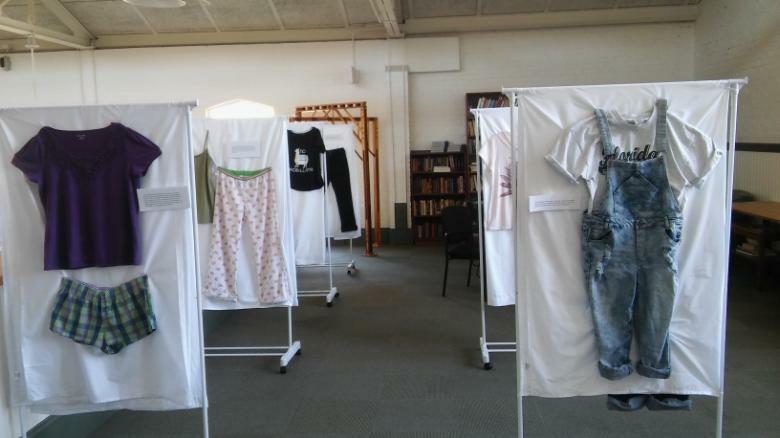 Out of thirty-six responses, twelve sets of clothing were chosen to be put on display in the art exhibit. 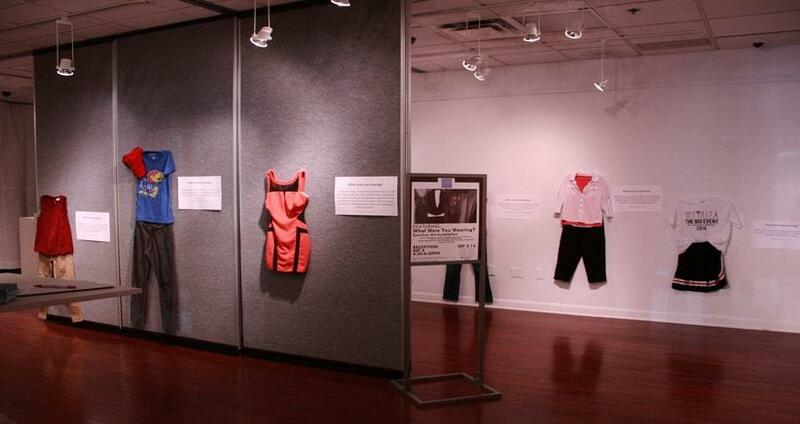 In addition to the clothing the victim was wearing, the exhibit includes a short passage explaining their experience. The hope for this project is to open students’ eyes about the the impact of sexual assault. Also, it is used as a way to defend survivors against victim-blaming. Beyond just these two schools, the idea is spreading. Florence Bacabac spoke to The Seattle Times about the exhibit on display at Dixie State University. “It’s not about what people wear, who they are, where they were at time, what their identities are, or even about their decisions or decisions they didn’t make — it’s about who caused the harm,” he said. That is the essence of this project exactly: to make a statement about sexual violence and the shaming involved. Regardless of the clothing they were wearing during their assault—be it a red dress, a bathing suit, or an infant’s nightgown—survivors’ stories deserve to be heard and not devalued. I love this. Very important. Well written work.